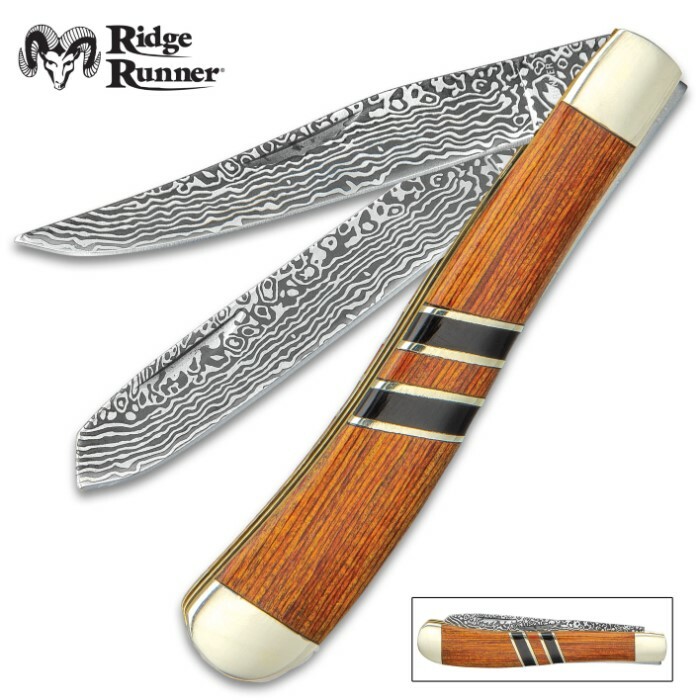 Ridge Runner Royal Admiralty Trapper Pocket Knife - 3Cr13 Stainless Steel Blades, Wooden Handle Scales, Nickel Silver Bolsters | BUDK.com - Knives & Swords At The Lowest Prices! Everything is completely ship-shape with this handsome pocket knife. 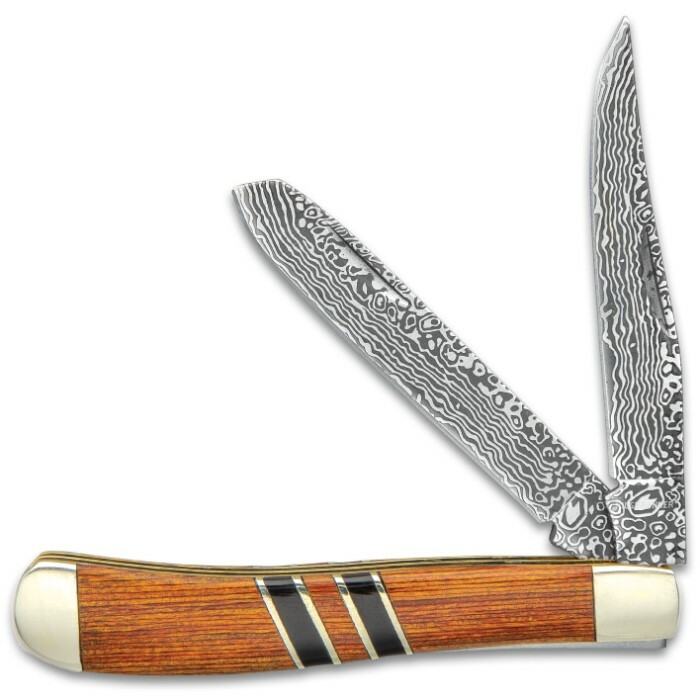 You can count on the Ridge Runner Royal Admiralty Trapper Pocket Knife to serve you well on land or at sea. The knife has two rust-resistant, 3Cr13 stainless steel blades, sharpened to a razor’s edge, with Damascus-style finishes. The handle has warm brown wooden handle scales with black synthetic bands set at an angle and set-off by nickel silver spacers. 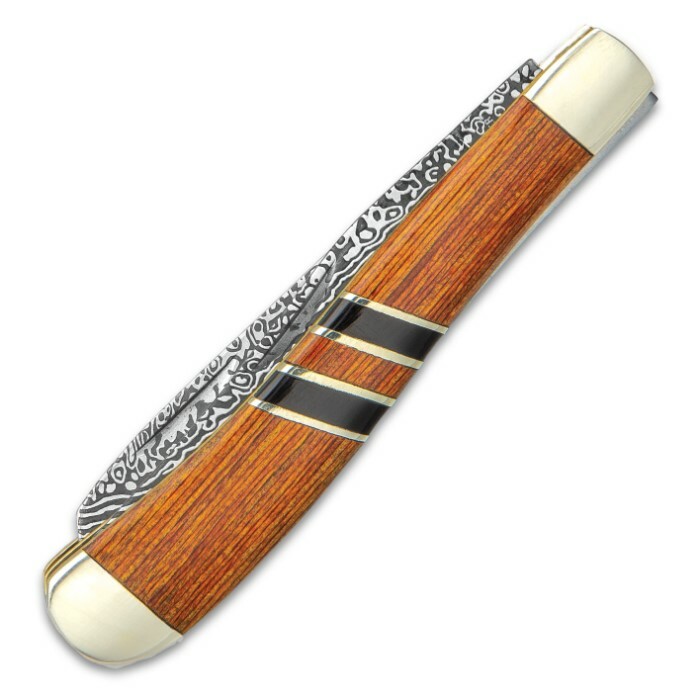 The pocket knife has brass liners and features nickel silver bolsters, which have been polished to a mirror shine. The trapper pocket knife is 3 3/4”, when it’s closed, and nail nicks on the blades make them easy to quickly access.